A graceful and ephemeral work of art brought to life by the ocean breeze. Kite flying is a lot more difficult than it seems. Oh but once it begins to catch the wind, it’s a beautiful site. I agree – kite flying can be tricky. The boy who was flying this kite struggled for awhile before he got it in the air. Smuggle and then success. I’d say kite flying can teach many about life. Love this! 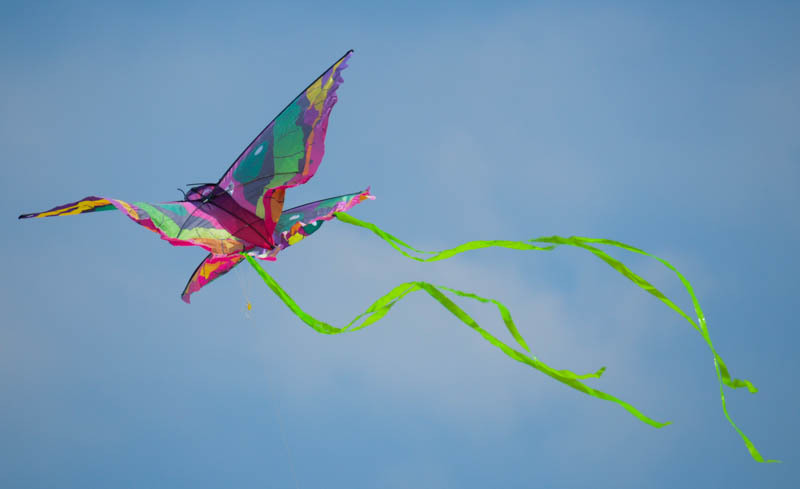 What a pretty kite. And the sky is so blue. Gorgeous! Thanks! It was a very pretty day at the beach.